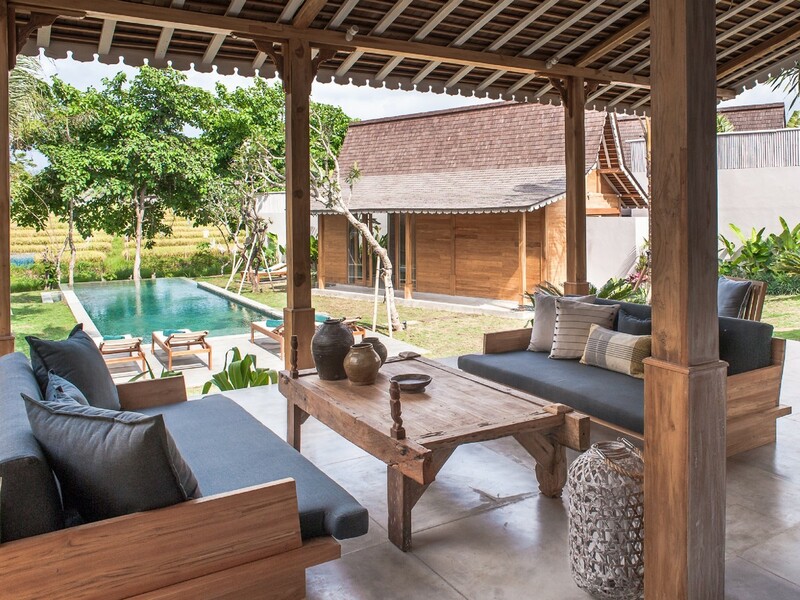 Villa Alea is an amazing 5 bedrooms villa located in the middle of Kerobokan area. 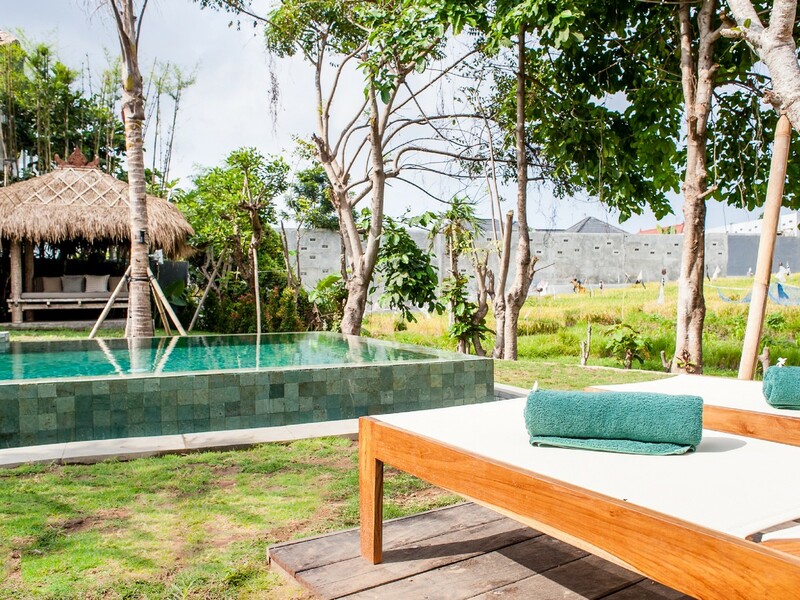 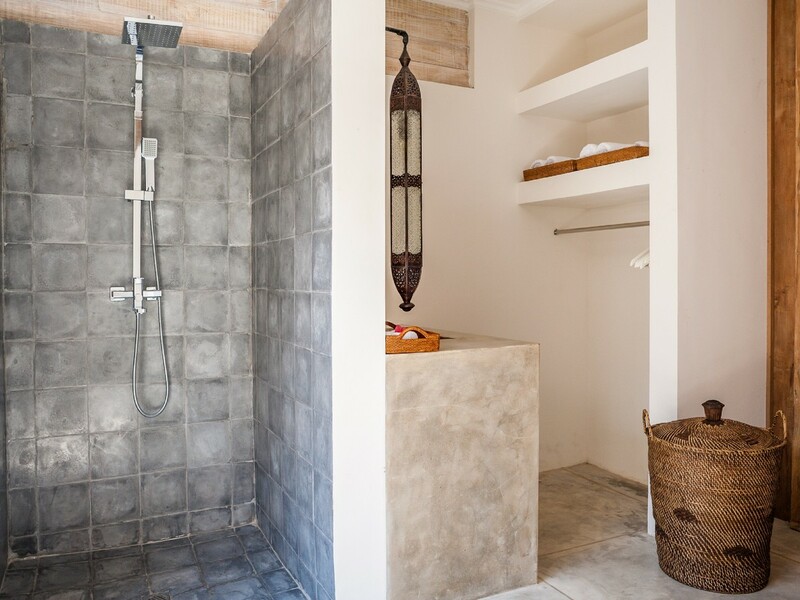 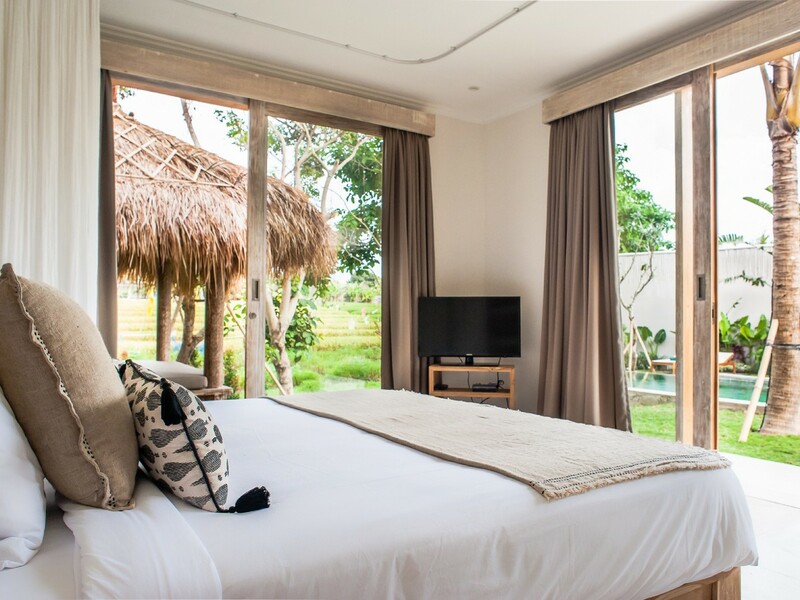 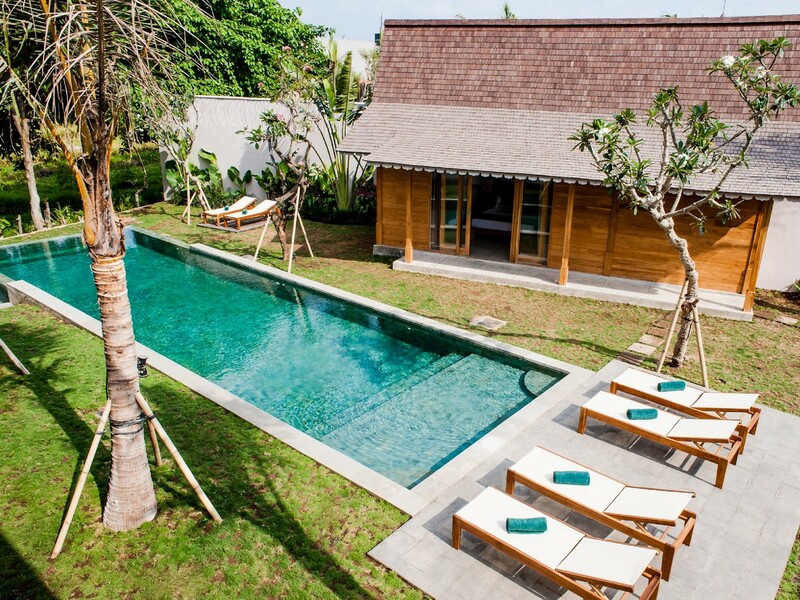 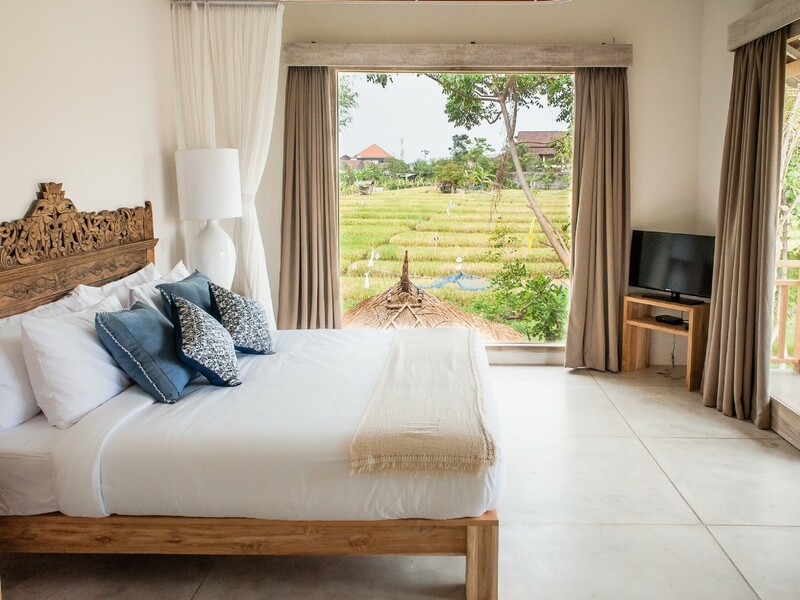 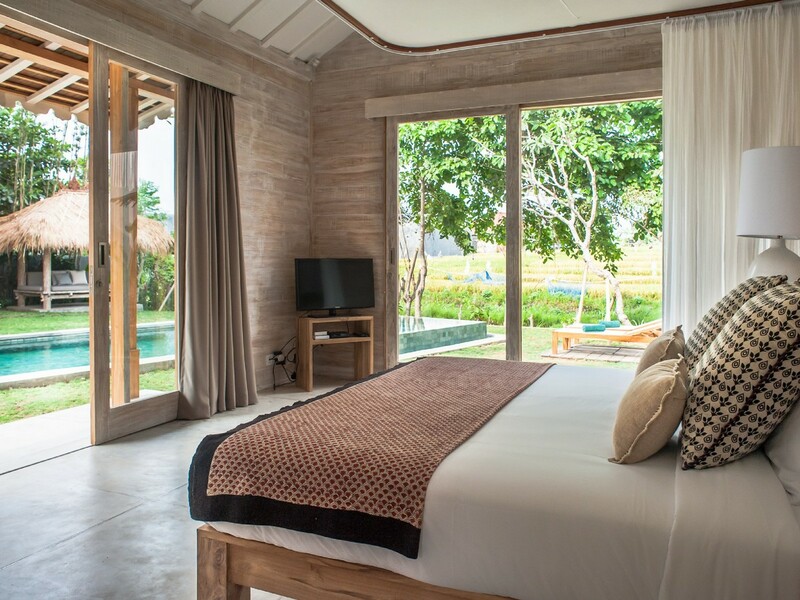 At only 10 minutes to the living Seminyak, 5 minutes to the hispter area of Canggu and 35 minutes from the airport. 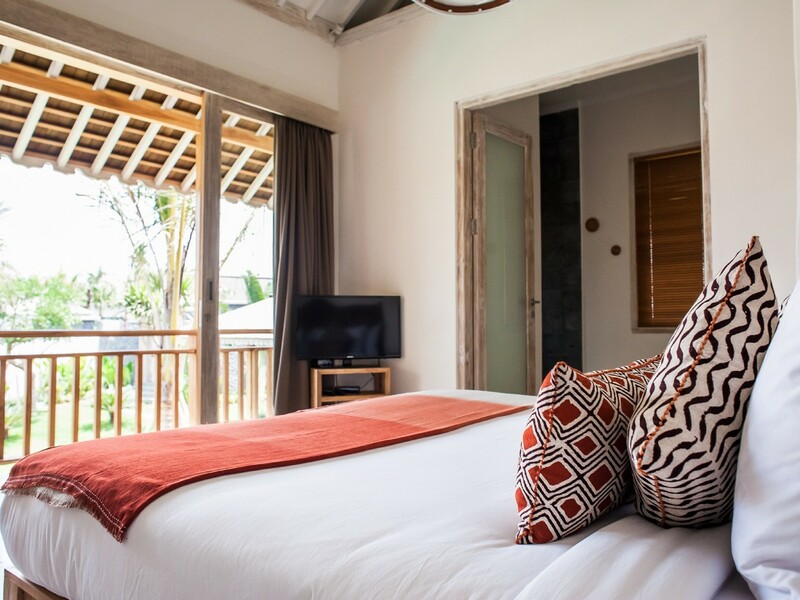 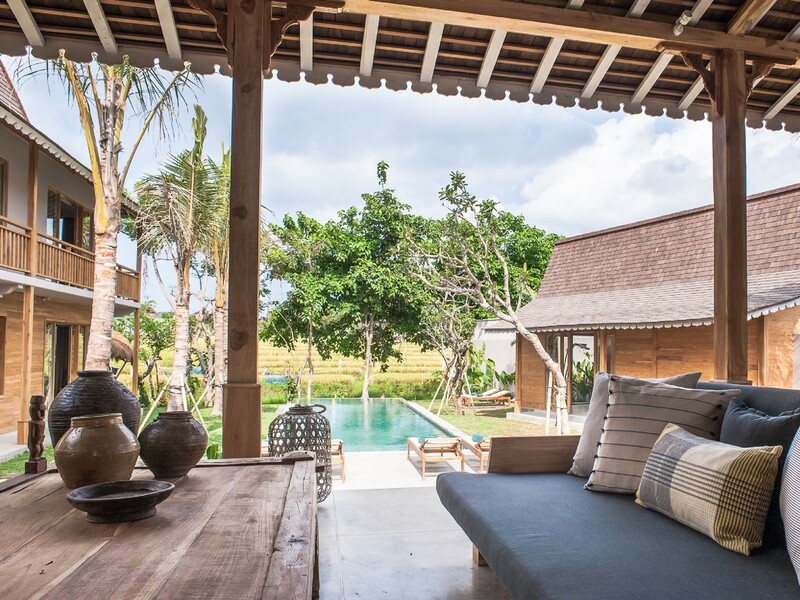 Villa Alea is the perfect place to be in the middle of Bali life, near from lots of restaurants, cafes and trendy bars. 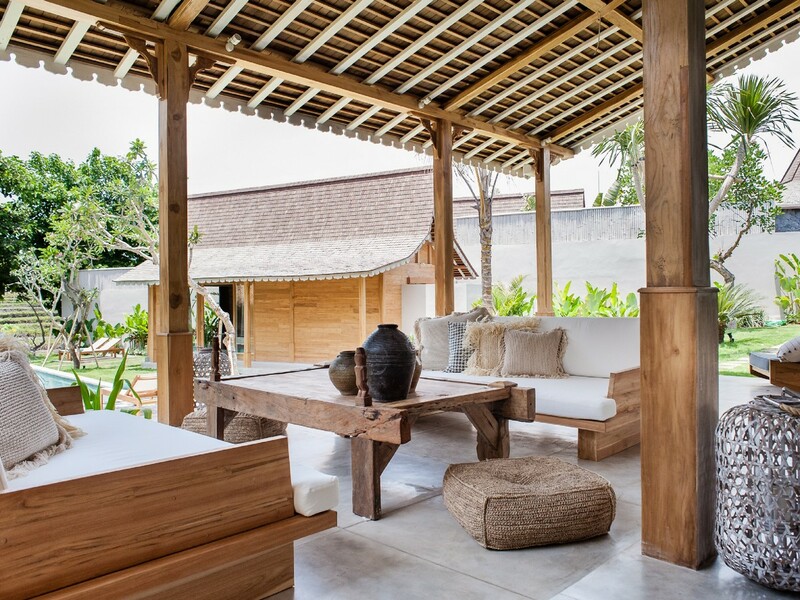 This huge villa has 3 pavilions with two livingarea, one indoor and one outdoor on the pavilion's cover terrace. 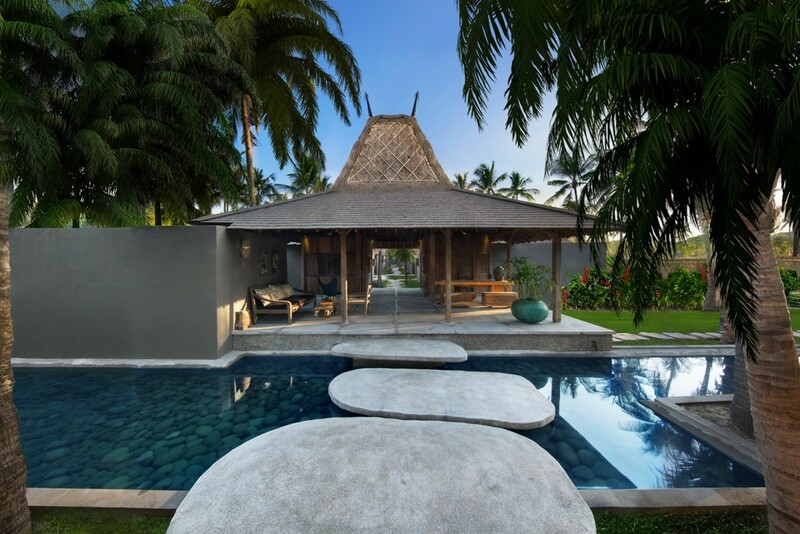 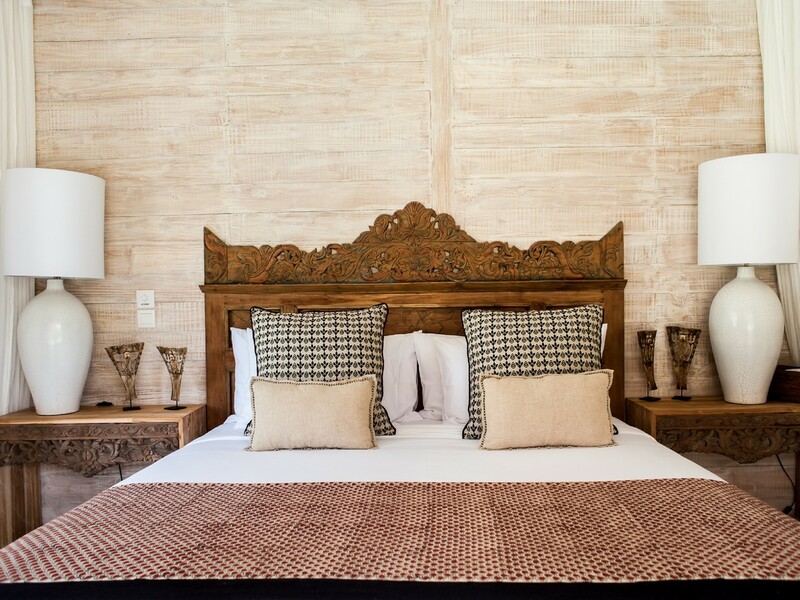 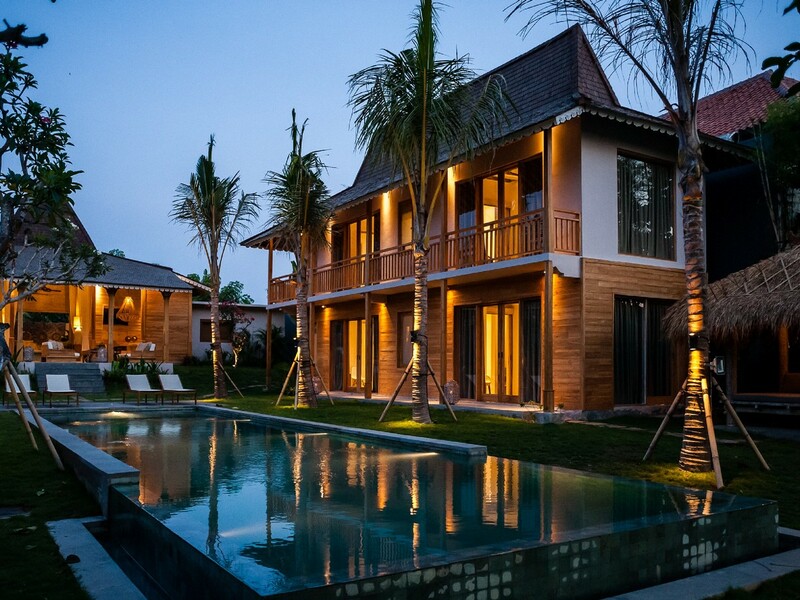 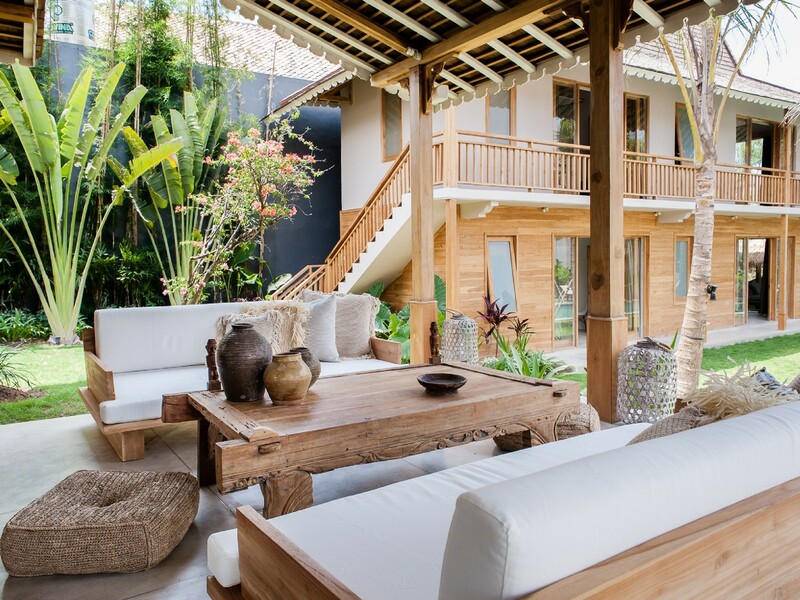 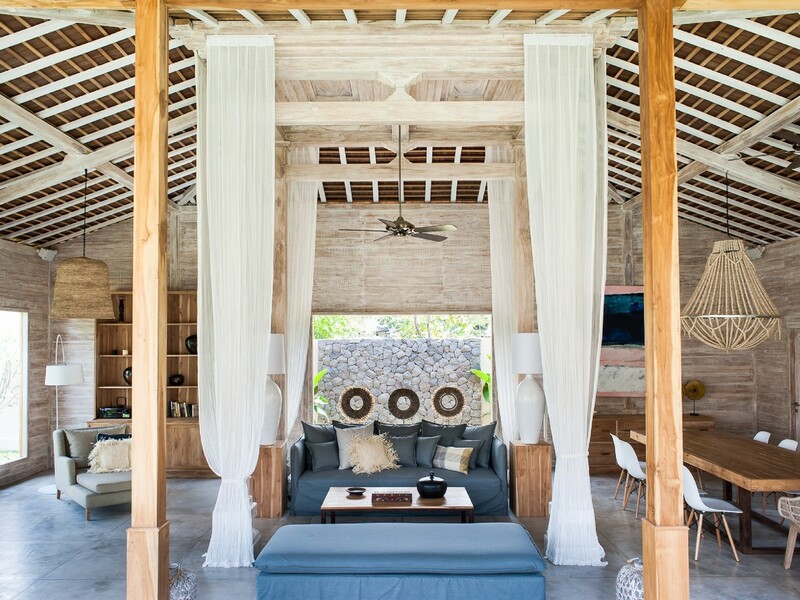 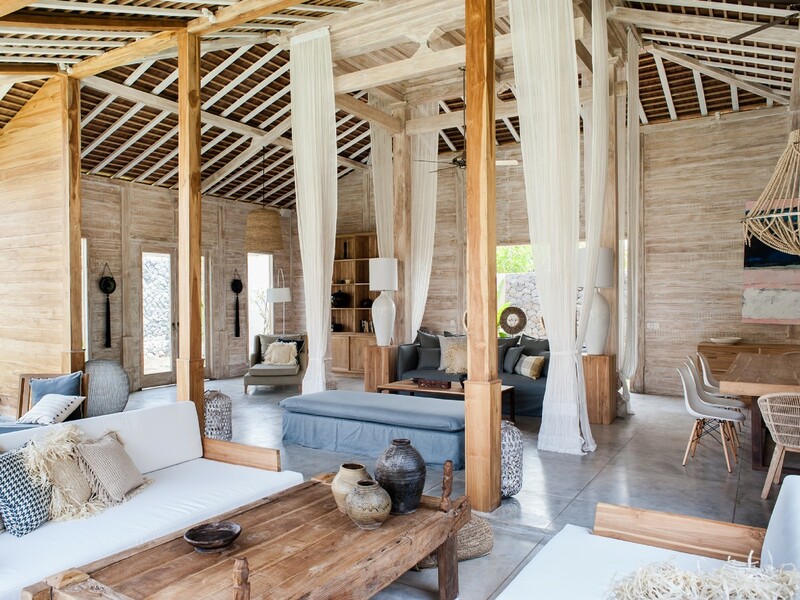 The villa has a great traditional Balinese architecture with Joglo style roofs which make the charm of this house. 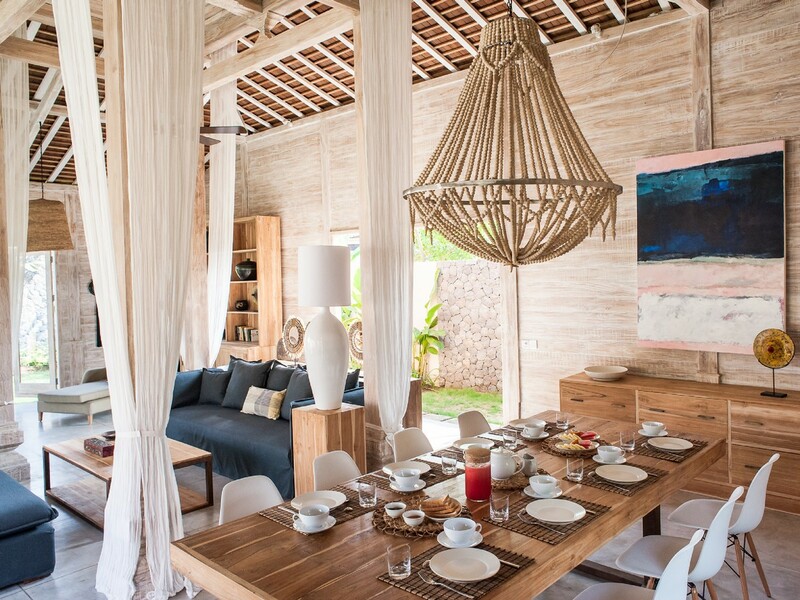 A dinner table can host up to eight people around with just behind a fully furnished kitchen to cook delicious food in family or friends. 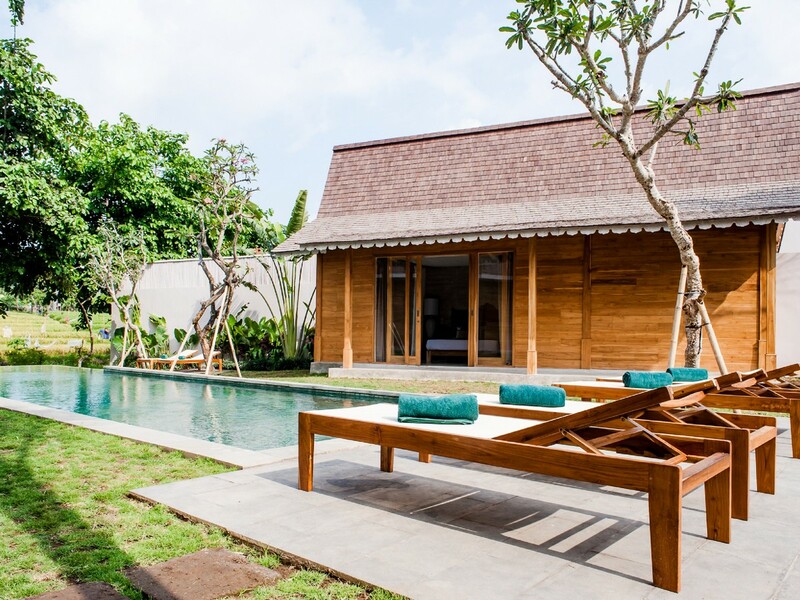 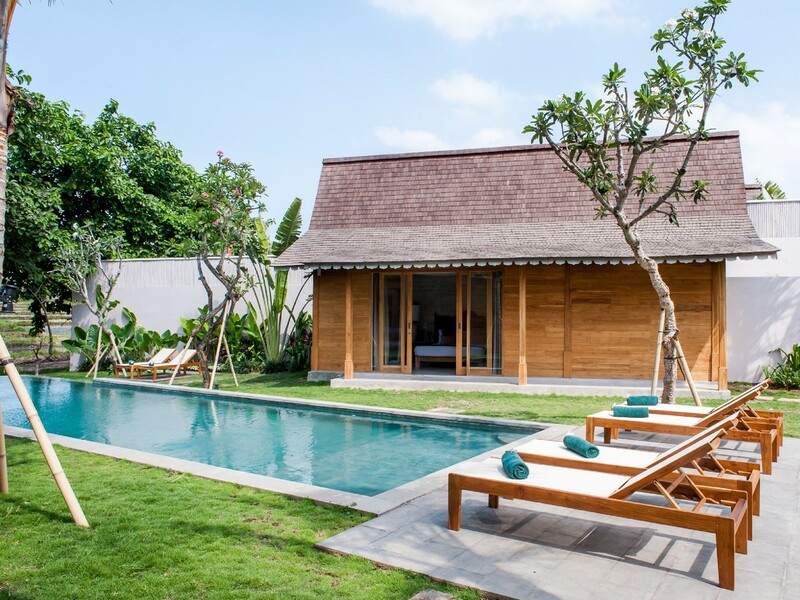 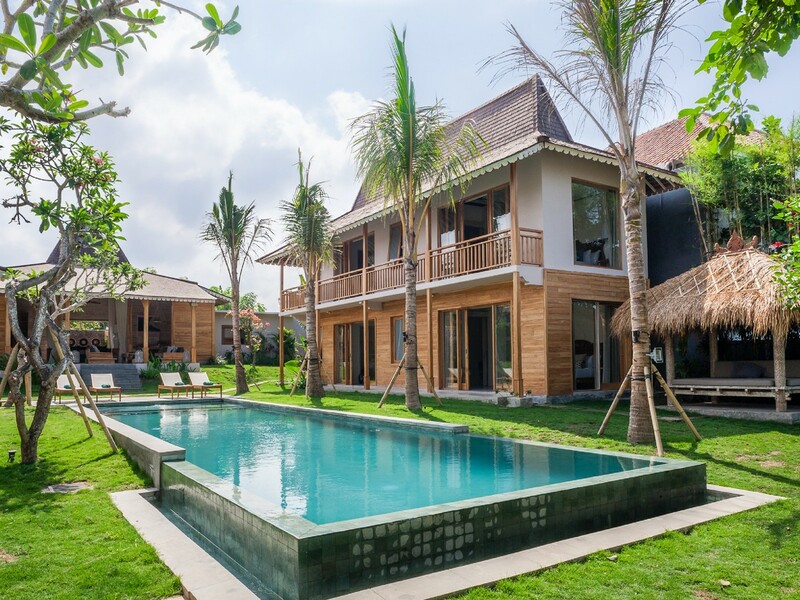 The swimming pool of 15 meters is an important part of this villa, is the point to spend good time in the garden, to take a lot of sun on the wooden pool beds in a lazy day, covered by a large umbrella. 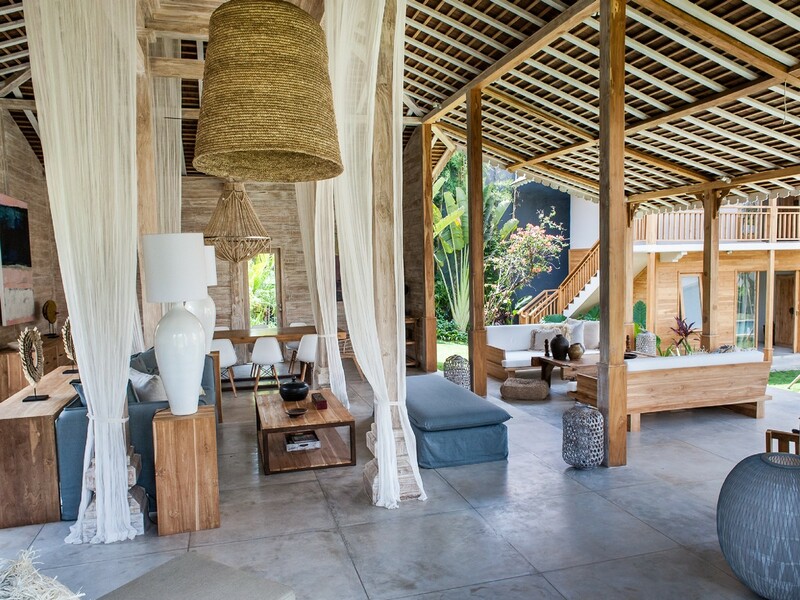 WIFI is available in the entire property. 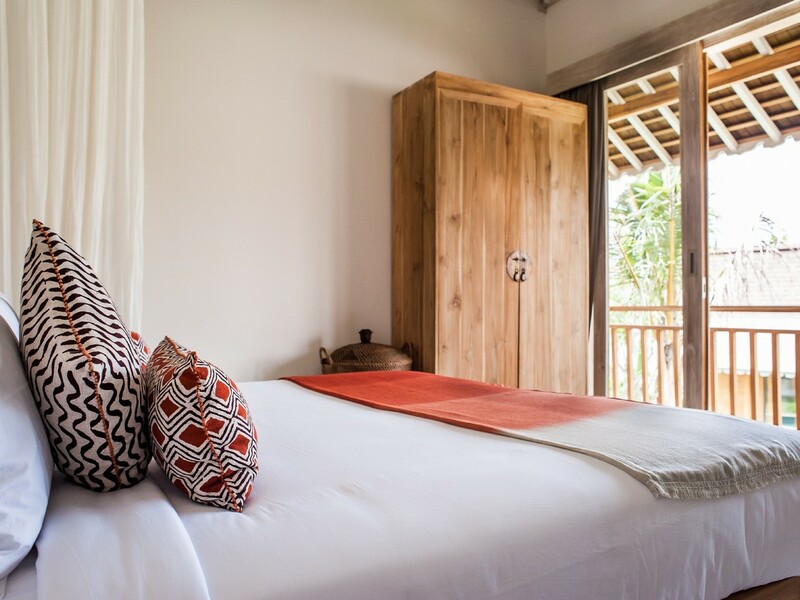 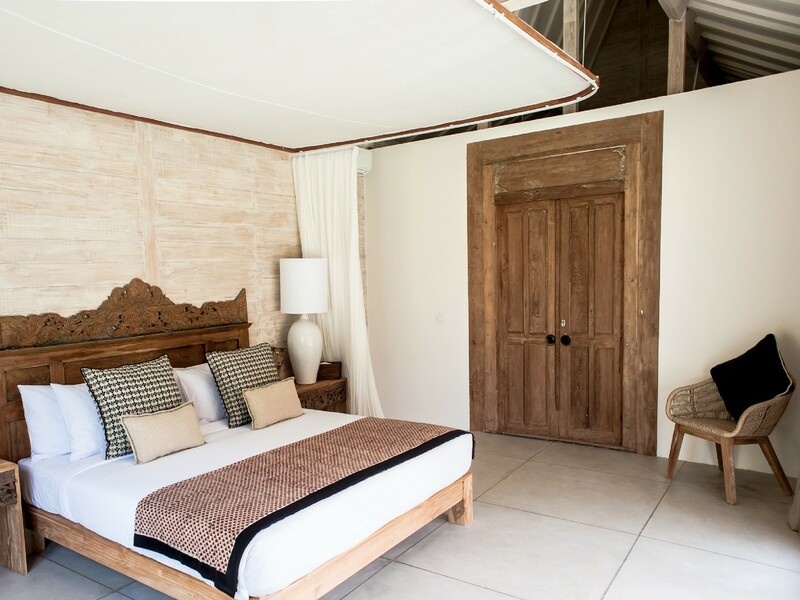 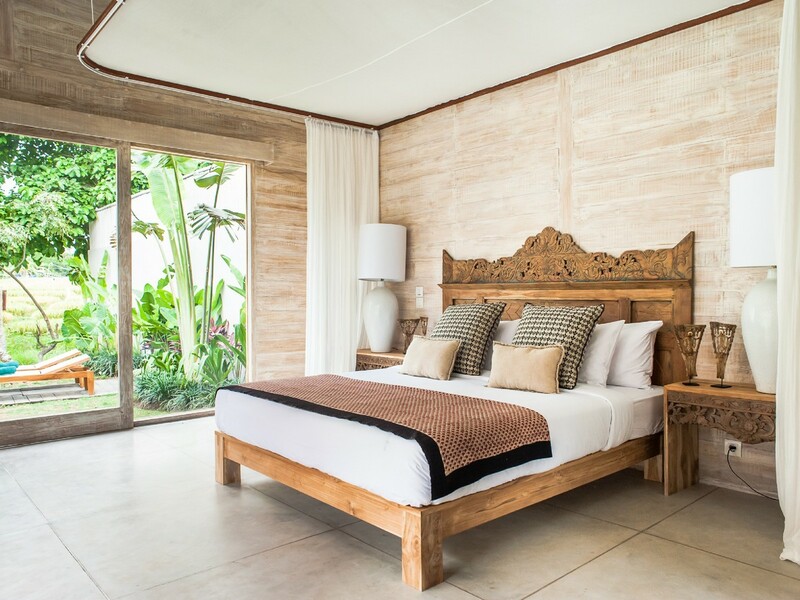 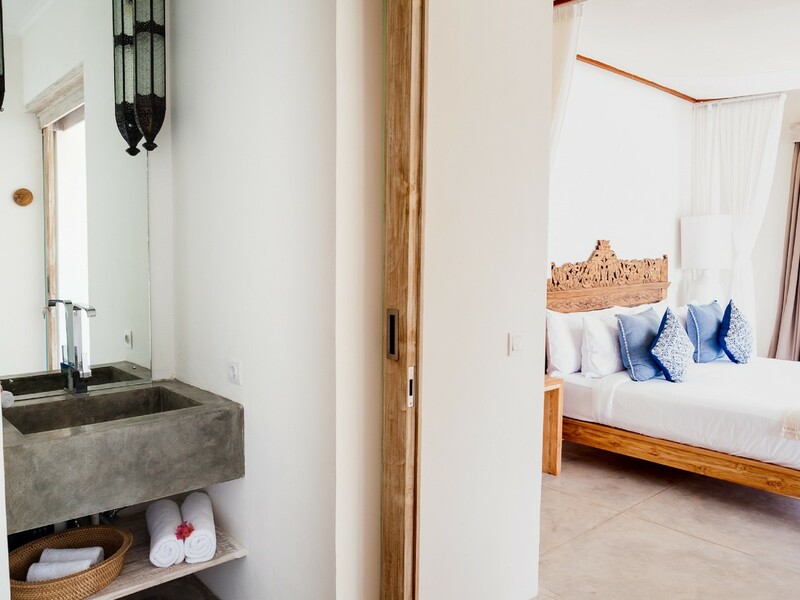 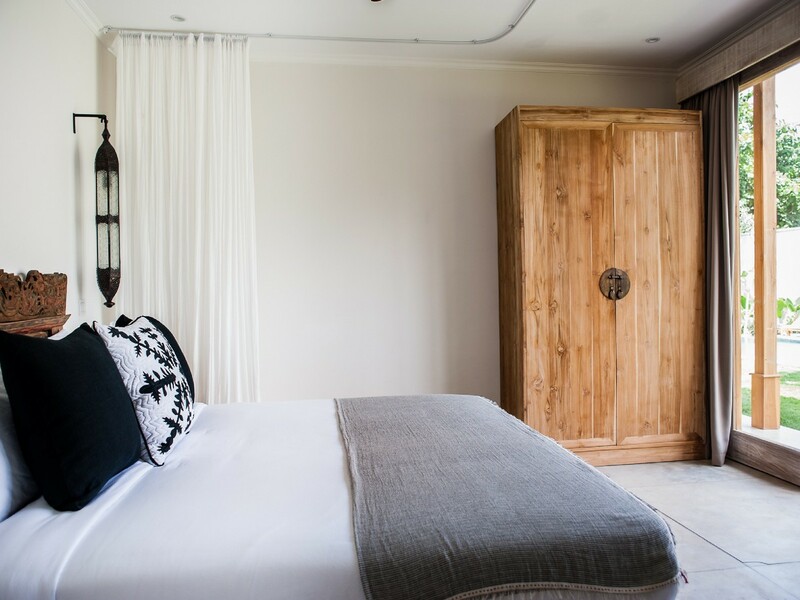 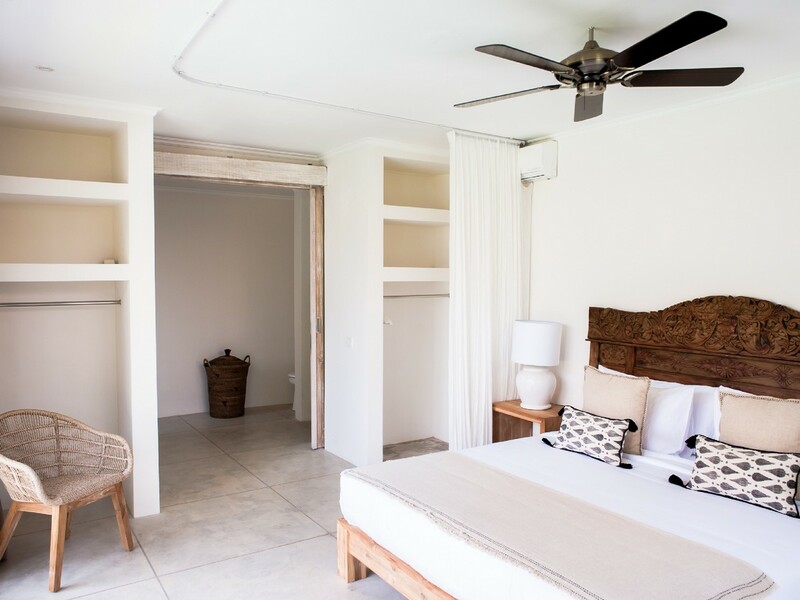 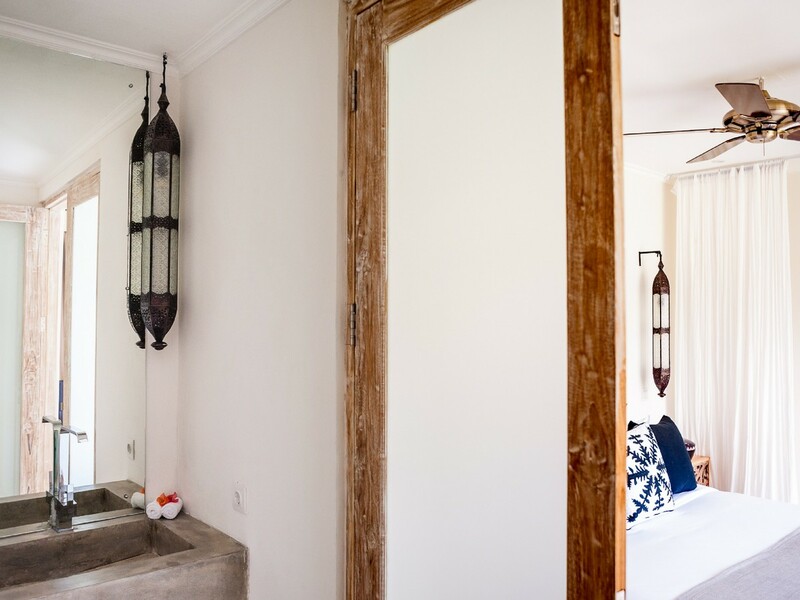 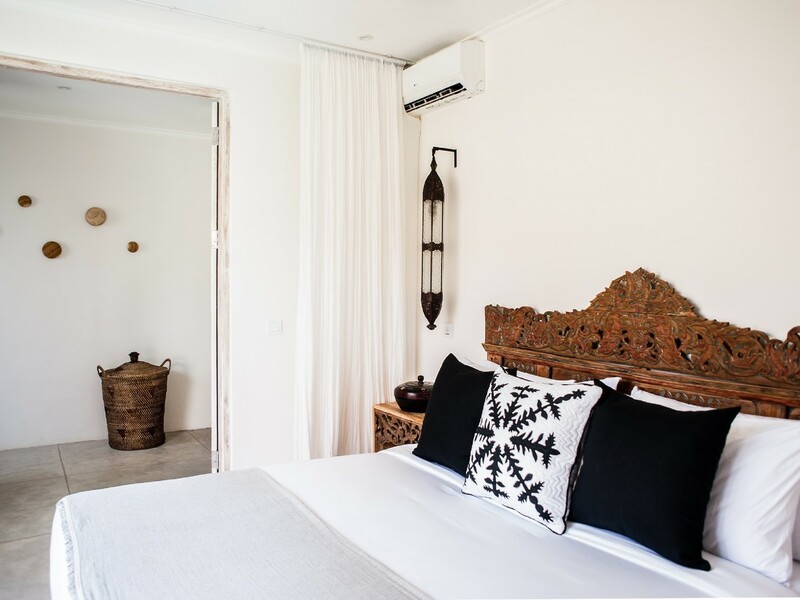 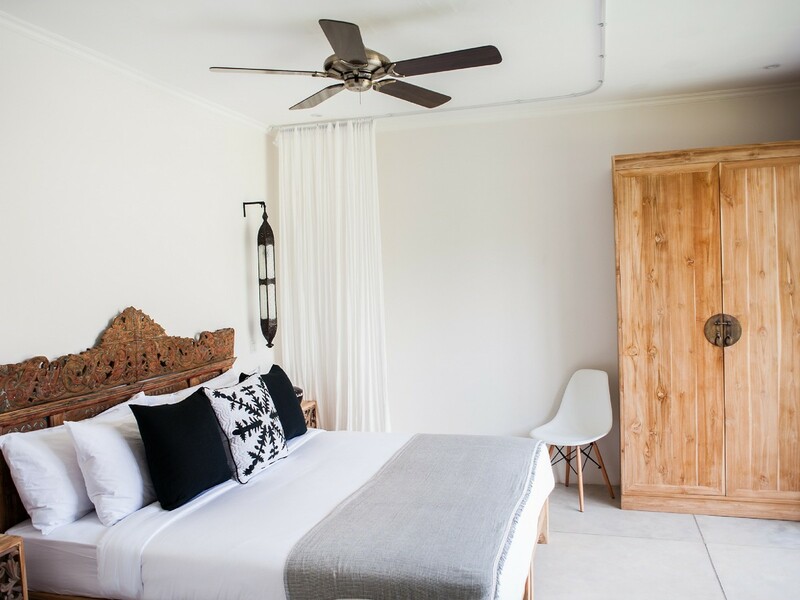 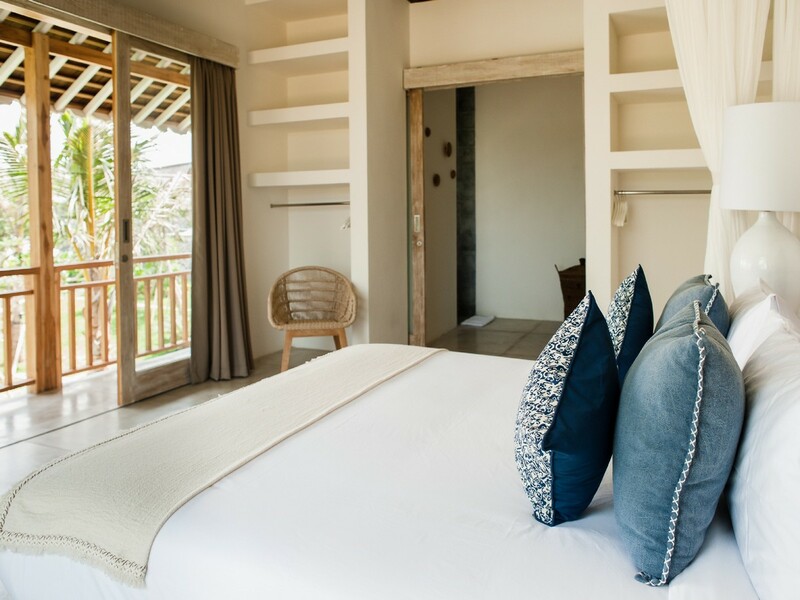 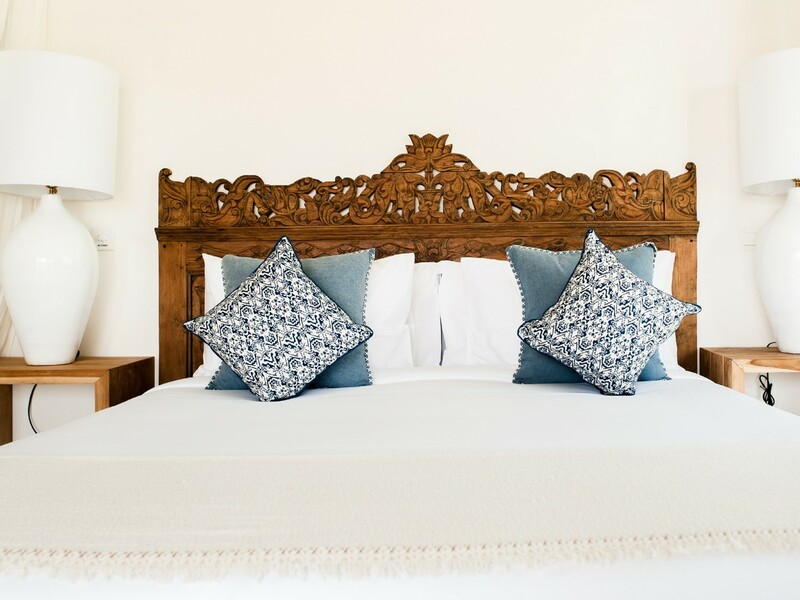 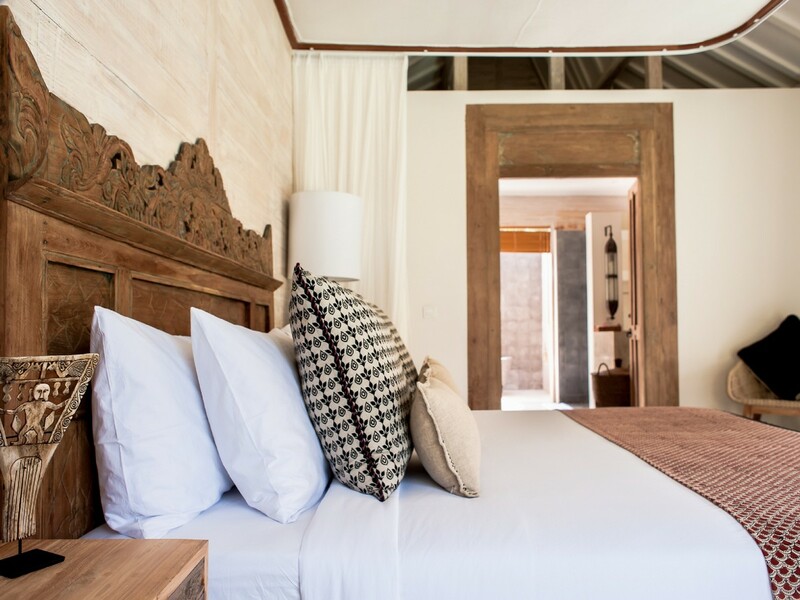 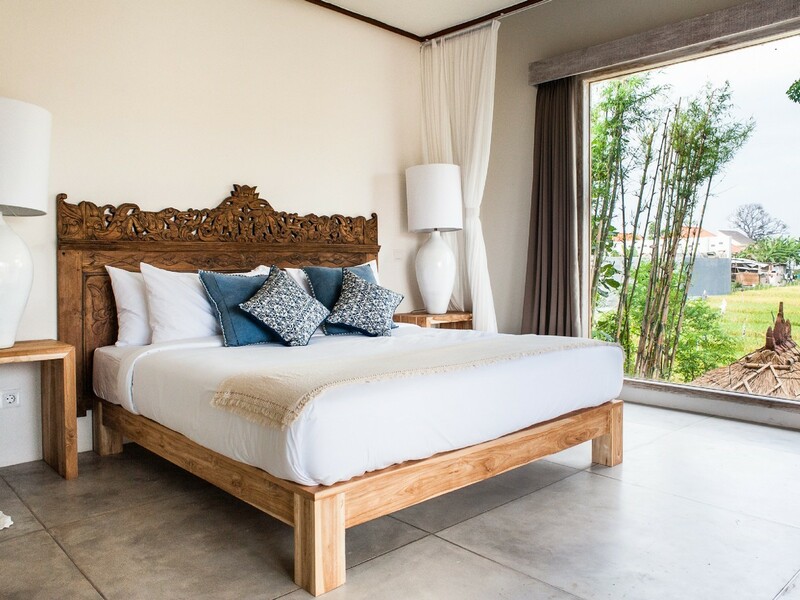 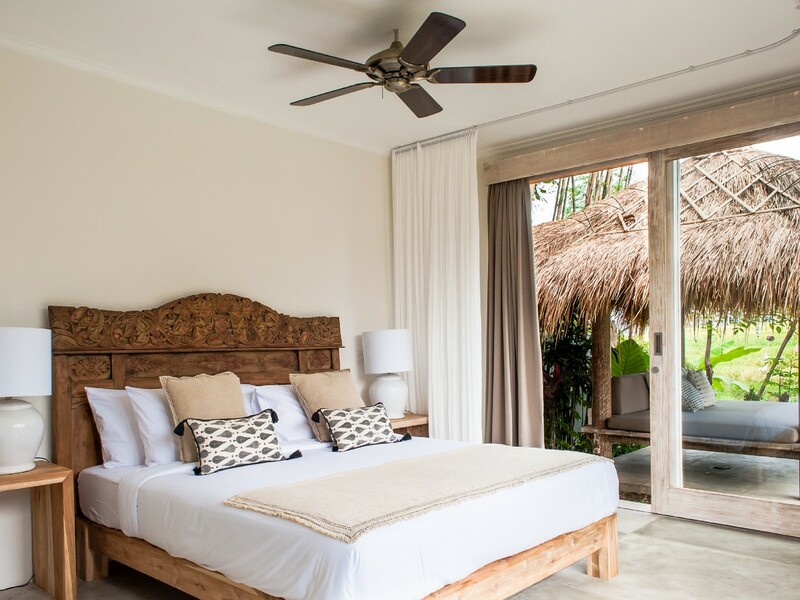 The master bedroom of this house is in a detached pavilion, with a king size bed, with a direct view on the swimming pool and the lush garden and a bathroom with rain shower and a large outdoor stone bathtub. 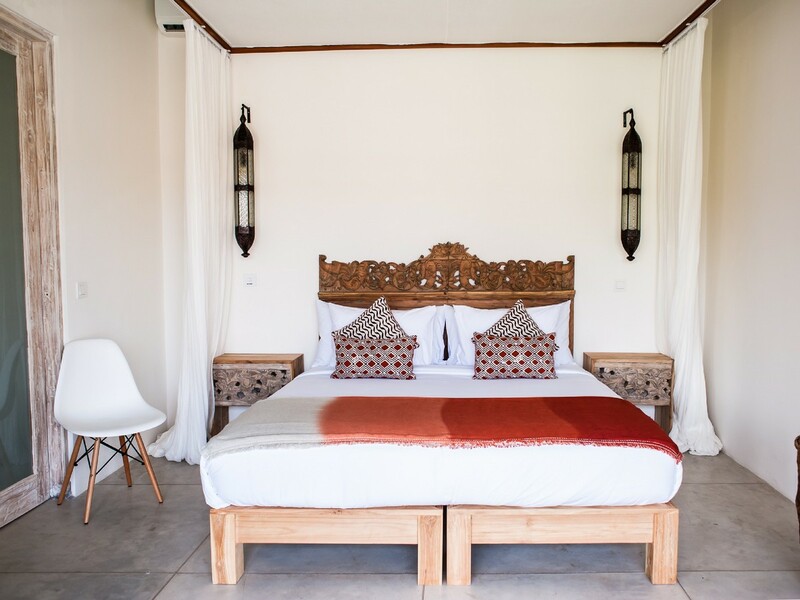 The four others bedrooms are in the main pavilion with two with king beds and two with twin beds all have a bathroom with rain shower. 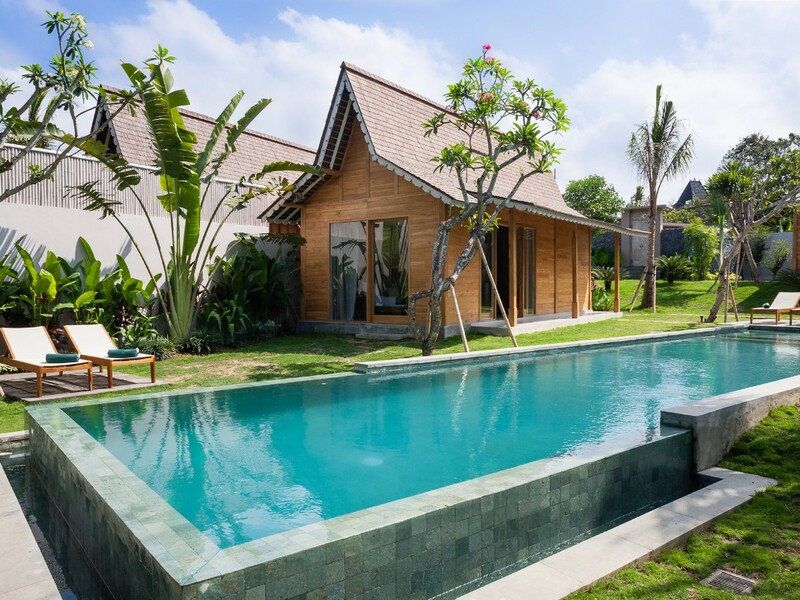 This villa is ideal to have holidays with a bid family or a big group of friends. 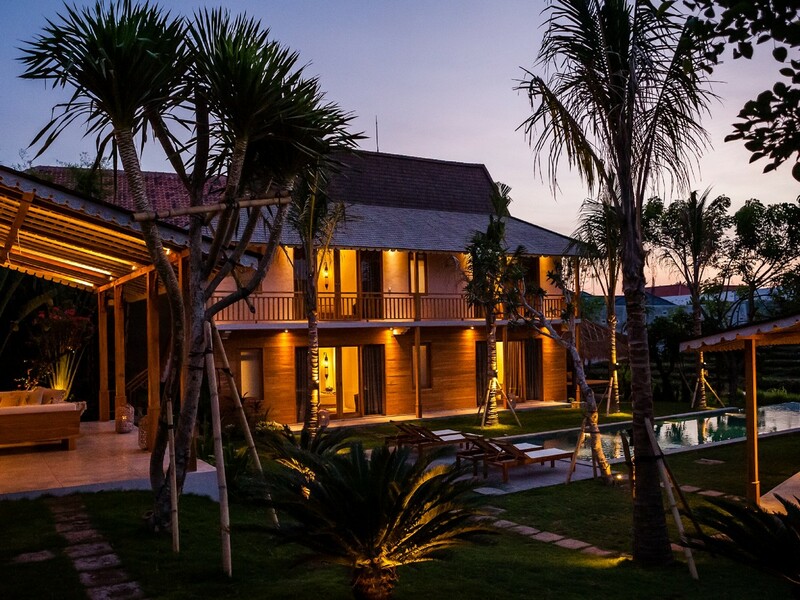 Villa Alea provided different daily services with a personal guest assistant for all your needs during your stay, a daily housekeeper to have nithing to do than relax and your villa will be clean everyday, you will benefit of a personal chef also who will cook you with passion indonesian food or all meals you want. 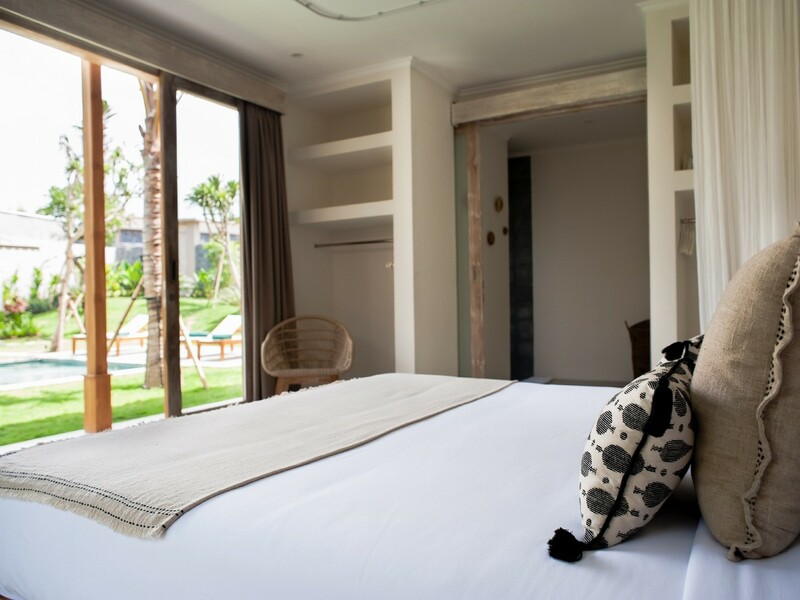 A gardener will keep the swimming pool and the garden very clean for the whole of your stay in Villa Alea and a round-the-clock security will ensure you an entire privacy and security. 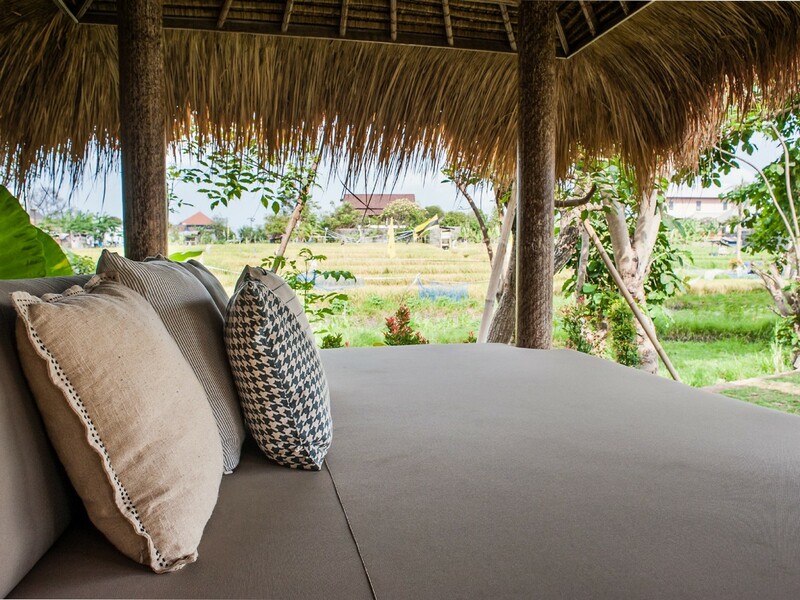 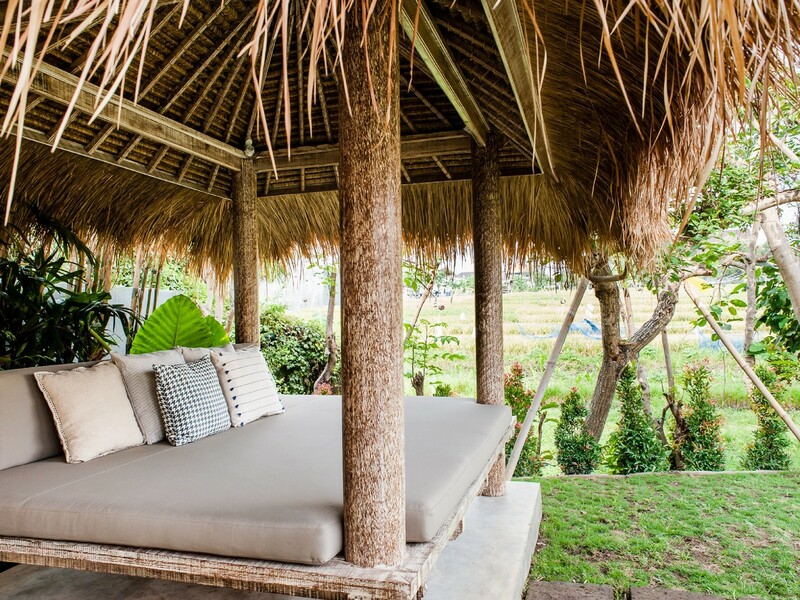 You can also have on request a babysitter to look after your children when you want to go out, a driver, a laundry helper and even a sap therapist to have a great balinese massage. 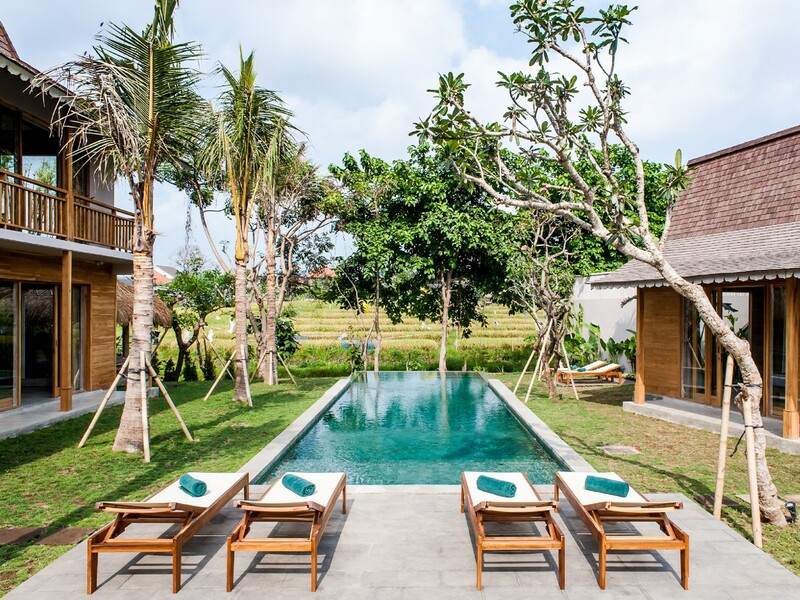 Bike scooter and car rentals are also available on request to explore Bali during your holidays. 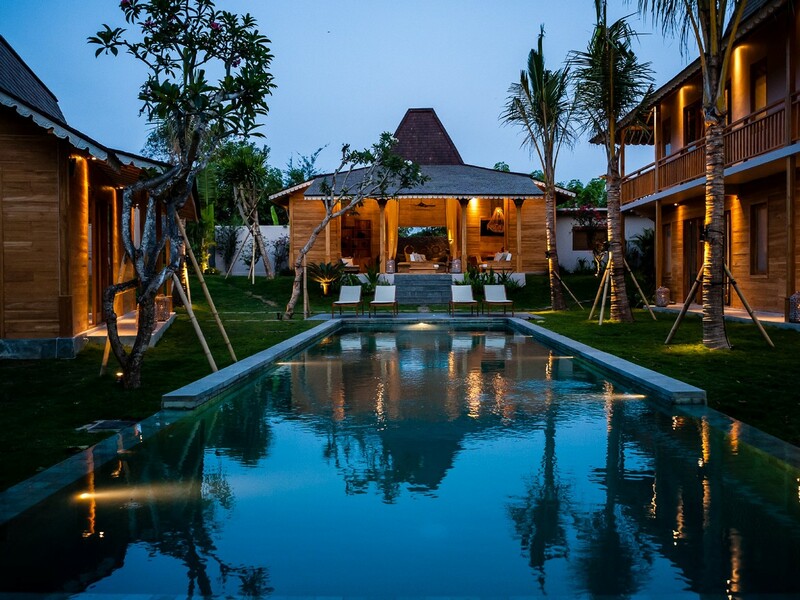 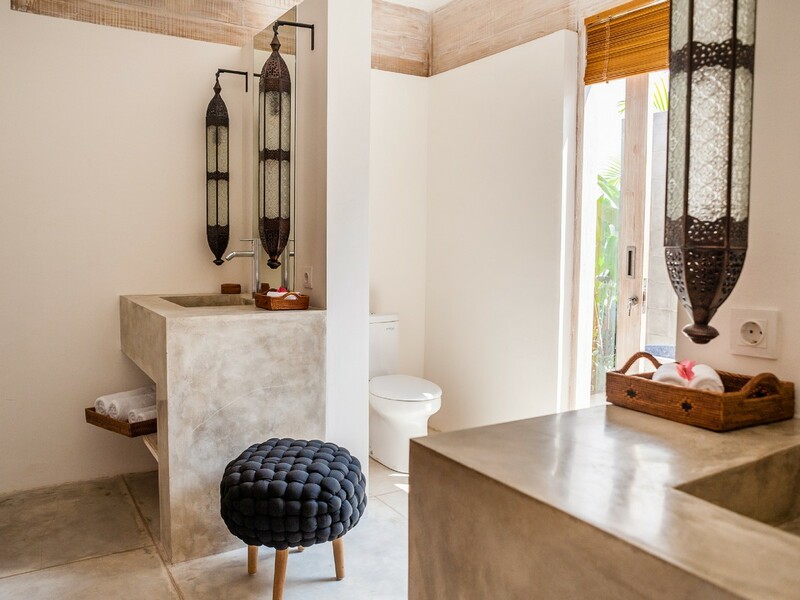 Bali Je T'aime team will be very glad to host you in this beautiful and charming villa, which is a great opportunity to spend dream holidays in the island of gods.